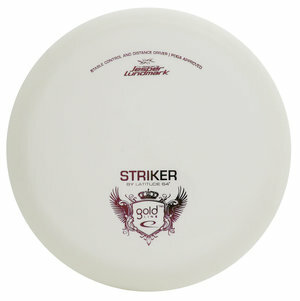 Striker is the perfect disc for accurate drives; both straight, right and left. The excellent balance of this driver makes it suitable for most players. Control is the key word for this disc! The flight at a 330ft drive is neutral with a very small fade at the end of the flightpath. .